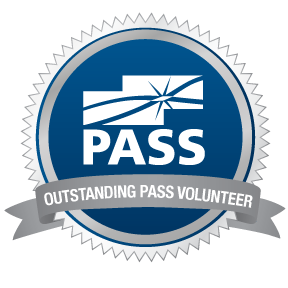 I'm back home after an amazing week in Seattle for PASS Summit 2014. Love visiting Seattle, especially when there are lots of #SQLFamily there to enjoy it with! I got into Seattle on Sunday afternoon via train from Portland. Was the first Amtrak train that I have ever been on and was a nice relaxing ride from Seattle to Portland. I guess I thought that I would see more of the coast on the train, didn't realize that it was going more inland, still some great scenary. The week itself went by really fast with PASS meetings on Tuesday and the conference itself starting on Wednesday. My presentation on SSDT, "What Version of SSDT do I Need?" was on Wednesday afternoon, so it was good that I got that over with early in the week. I presented this session in the first set of Lightning Talk sessions with Brent Ozar, Luke Jian, Mark Vaillancourt, Tim Radney and Craig Purnell. Was great to share the spotlight with all of these speakers in a full room and we got through all of our presentations with time for questions at the end! Tim, Craig and I were all in the same Lightning Talk session at PASS Summit 2013 as well. Below is the updated version of my slides, with a change to the table of SSDT versions, correcting a small oversight on my part. 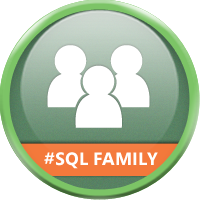 With the presentation out of the way I was able to enjoy the other sessions and parties throughout the week and see as many of my #SQLFamily as possible. 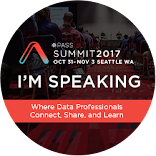 Overall the week went very well and I'm already looking forward to PASS Summit 2015 back in Seattle on October 27 - 30! Thanks again to everyone that attended my session and I'm looking forward to an even better 2015!